Styled with equator legging and the super puff vest. Raise the tone of your next chillax with this super-soft hoodie. It's made of 100% cashmere that's — get this — machine washable. Great piece to wear casually or it can be dressed up! Very cozy and colour is perfect! Absolutely love love love this hoodie. So cozy and soft - fits like a dream. Fits perfectly, I love this hoodie style sweater with pockets. It’s cashmere, Just what I like. Very soft and warm. I love this hoodie. Great fit, so soft, and machine washable! 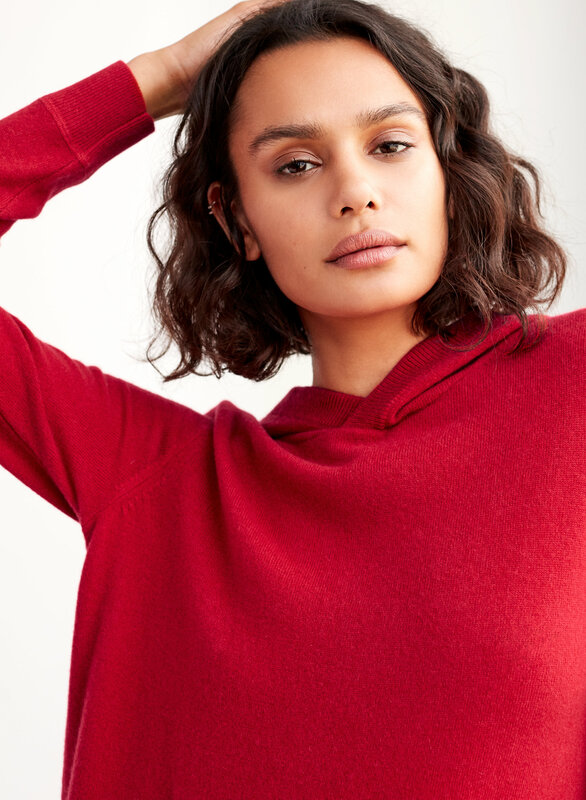 definitely wish i had ordered a medium ... i have several other aritzia sweaters from babaton collection in small and extra small. 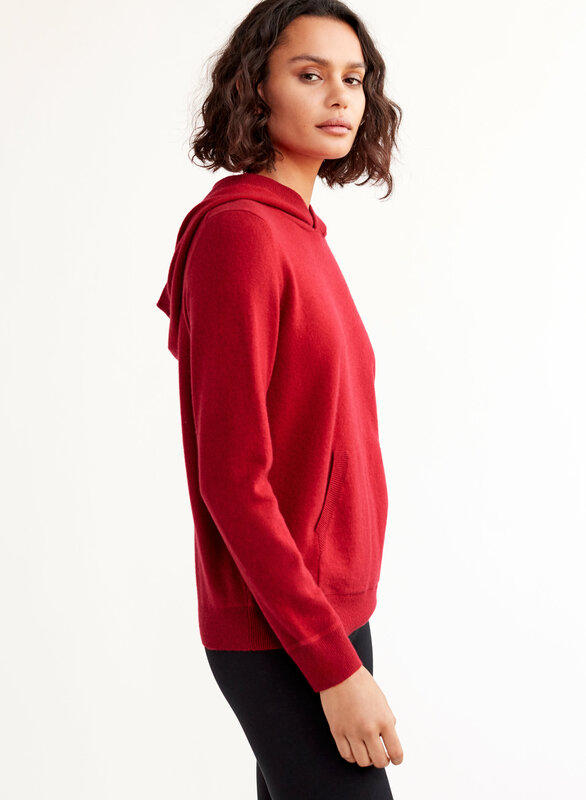 this cashmere hoodie in small is tiny. Soft and a great deal. Fits well and runs true to size. Purchased small. For reference I am 5'5 125lbs and 32b. Casual and not too loose or fitted. Such a great sweater! It's fitted but not too tight. Lightweight and perfect for winter. Also love the front pocket! 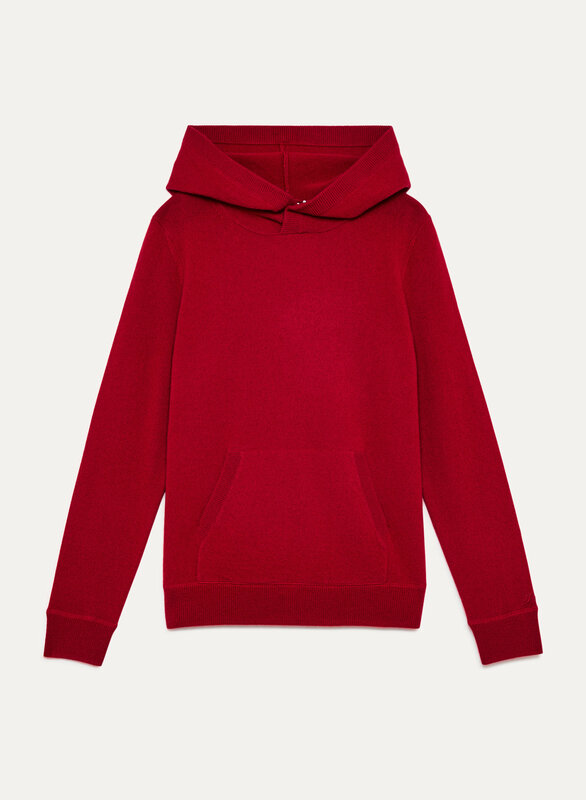 Very soft, very warm, fantastic everyday hoodie. Hood is not big so my hair doesn't get caught in it and it's very easy to layer. One of the best purchases yet! This hoody is super soft and cozy . It’s fitted enough so that you look put together but not tight enough where you feel uncomfortable. Great purchase .